TENS uses small electrical pulses to provide non-invasive, low risk nerve stimulation for drug free pain relief. Traditionally it’s been clinic or home based with cumbersome battery packs and wired electrodes. We wanted to empower patients by allowing them to treat themselves whenever and wherever they liked. 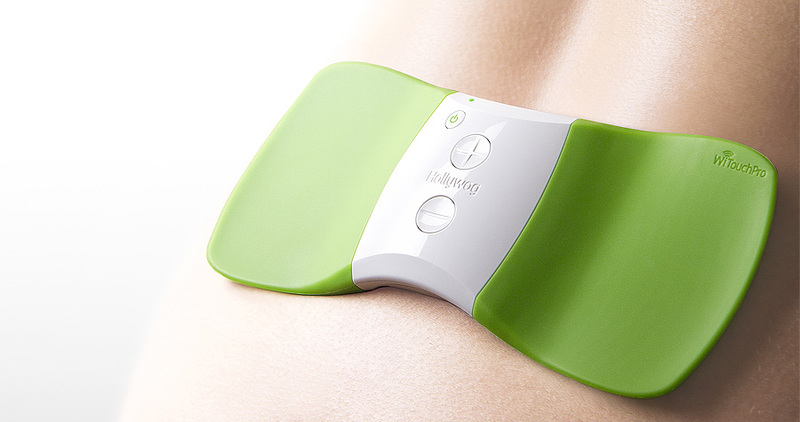 WiTouch is a highly portable wireless device that can be easily worn underneath clothes for long periods. It’s lightweight, flexible body simply adheres to the lumbar area of the lower back. 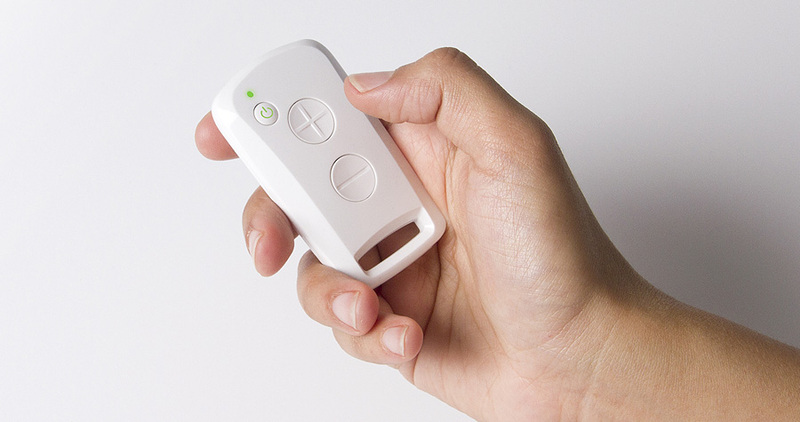 The wearer activates a specific 30 minute treatment program using the handheld remote or onboard controls. 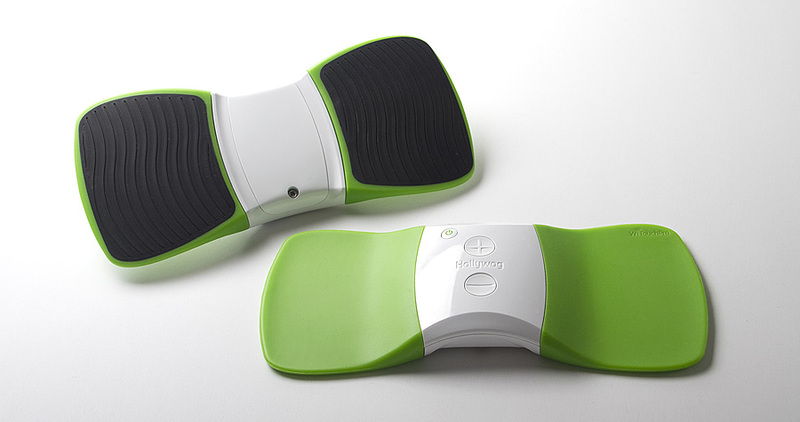 Wearable pain relief, anywhere, anytime. Katapult focused on customer needs to design a product that was simple and intuitive to use. We sought to eliminate the stigma of injury that surrounds existing TENS devices by making WiTouch more discreet. The single piece flexible body is easily positioned on the lower back and held comfortably in place using dedicated disposable gel pads. Once WiTouch is positioned the user can commence treatment at the touch of a button and control the intensity of the pre-programmed 30 minute session to suit their requirements. All the while going about their daily activities without being restricted or self-conscious. Hollywog is a medical start-up that aims to evolve existing technologies by applying clever design and better product service at a competitive price. With this in mind Katapult designed a globally recognisable product that has established a distinctive brand image for Hollywog that can be carried forward to other products. It’s streamlined shape is both inviting and contemporary, yet doesn’t sacrifice WiTouch’s core functionality requirements. In addition, the design met extremely ambitiously Cost Of Goods targets for plastics, electronics, assembly and packaging, enabling Hollywog to successfully sell into more than 12 countries in it’s first year. 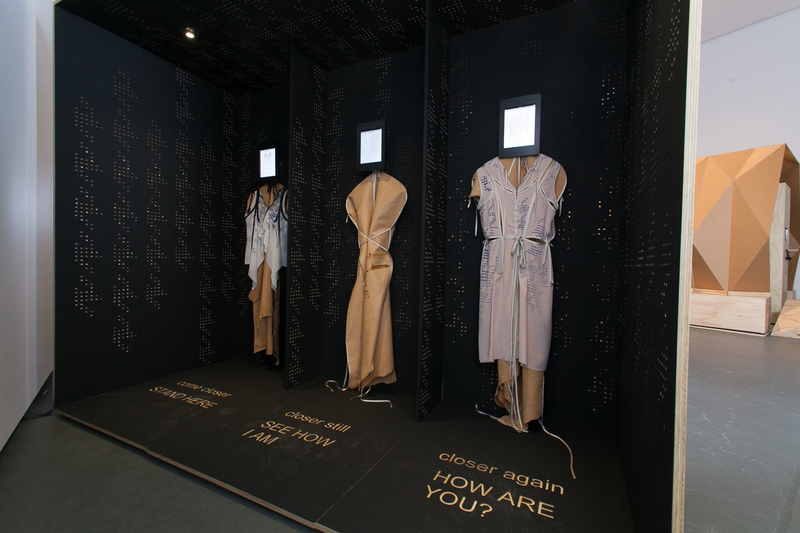 Visit the Good Design Australia website for more information about this project.